This is a fictional story based on some true characters, including Hachi, the beloved Akita of Professor Ueno. Every morning, Hachi would accompany the professor to the train station, and every afternoon, Hachi would meet the train. After the professor's death, Hachi continued to meet the train faithfully each day. Set in Shibuya, Japan, starting in 1924, this is Hachiko's story. I expected this book to have mother-daughter tension, but I had no idea how much serious content would be part of the story. The author holds nothing back: there is racism, gang violence, a suicide attempt, underage drug and alcohol use, repeated sexual harassment - occasionally even from family members - and the recent loss of Julia's sister, in addition to at least two other major issues I don't want to mention to prevent spoilers. So it's not exactly a light read, but it's definitely page-turning. Julia is hyper-critical of others and often feels the world isn't giving her what she wants, and she is not an easy character to like all the time. However, she is very human; her irritation is often understandable, as is her desire for independence and more opportunity. She is eventually diagnosed with depression, and this is a key element to her story and overall progression. She's obviously intelligent and mission-focused, but her people skills are all over the place. It's not a terrible thing to have a self-involved character if she's this memorable. Julia's poverty is eye-opening, and her frustration with it resonates. She talks about going over to someone's house and worrying about removing her shoes, because one time she did that and a cockroach crawled out. 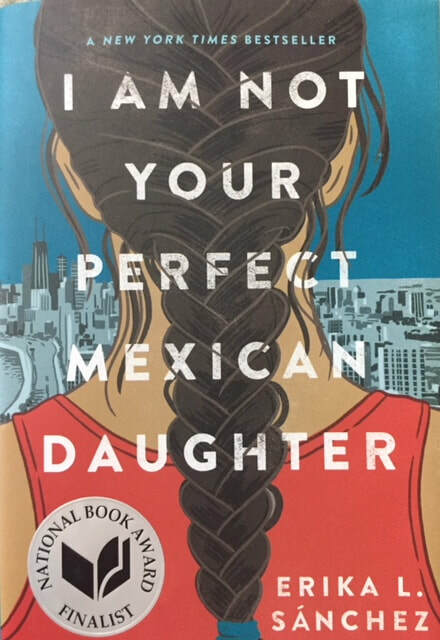 Her father works long hours in a factory, although when he lived in Mexico, he was known to be a talented artist - and Julia has never known this about him. Her college application fees are $90 unless she files a waiver, and when she finds herself with $7, she has to choose between a bus ride home and a drink with lunch. There is one point at the beginning of the book when Julia is introducing herself and describes her poor eyesight, saying if she went out without glasses, she would probably be "run over by a car or mauled by animals," which is perfectly in voice, but given that her sister was just killed after being hit by a truck, it's unlikely Julia's character would be so flippant about that. There's a lot in this book to make readers think, from ambition to authority, from class systems to communication with friends and family. It's good to look at a character who takes no prisoners, makes few apologies, and keeps moving forward. It would also be great if this book inspired readers to understand the people around them without needing tragedies to bring them together. "'Sometimes I look at my books and tests and the words all blur and swirl together. If I keep going like this, I'll never get into college. I'll end up working in a factory, marry some loser, and have his ugly children."